Among all of these tracks CCNA R&S is the oldest track and CCNA Security is the most demanded with most highest salary opportunities. Today, we will discuss about CCNA R&S and CCNA Security exams and their training in India so, if you are looking for CCNA training then here are some points good to be known for you. 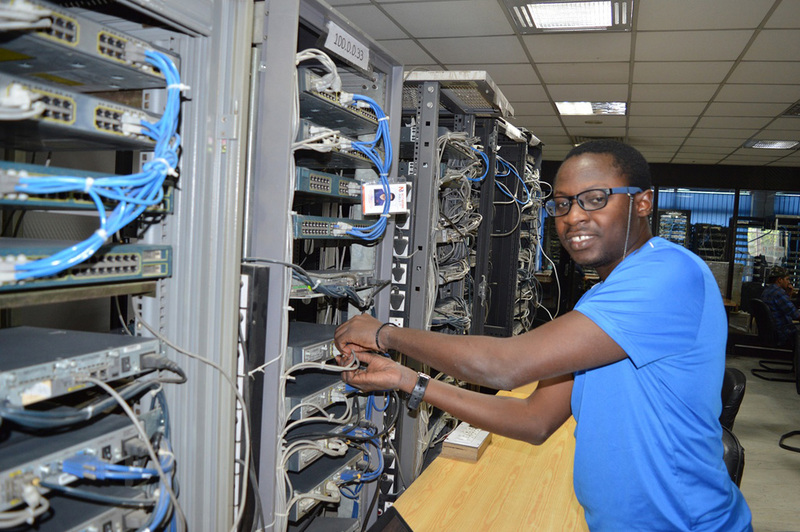 By passing CCNA R&S certification exam, the candidate validates his/her capability to use Network fundamentals, LAN switching technologies, IPv4 and IPv6 routing technologies, WAN technologies, Infrastructure services, Infrastructure Security, and Infrastructure management. There is only one eligibility criteria defined by Cisco for candidates appearing for the certification exam and i.e the CCNA aspirants must be minimum 13 years old. Else there are no prerequisites to attempt CCNA R&S Certification exam. To clear CCNA R&S exam you should have a solid grasp over these networking topics. By passing CCNA Security certification exam, the candidate validates his/her skill to develop a security infrastructure, recognize threats and vulnerabilities to networks. They also minimize security threats. Any valid Cisco CCENT, CCNA Routing and Switching, or any CCIE certification can act as a prerequisite for CCNA Security. Now to get this amazing job roles you must clear CCNA certification exam or take CCNA course training first. If you are open to suggestions then we suggest you join Network Bulls. Network Bulls is the leading Cisco CCNA, CCNP and CCIE courses training institute situated in Gurugram, India providing best networking training and job placement to students. They provide 24/7 open lab facility with dedicated CCNA R&S and CCNA Security racks. Network Bulls also provide 100% job placement to students taking CCNA R&S, CCNP R&S and CCIE R&S integrated course training. For more details call now – 1800-313-2545. From the date 20th June 2014, the revised cost of CCIE certification exam came in effect. Before this date, the cost of CCIE exam of R&S and Security track was 1850 USD in total. But after the change in the cost of CCIE exam announced by Cisco system for the expert level certifications(in R&S and Security track) is now 2050 USD in total. The written exam is two hours long and any networking aspirant must pay $450 to attempt the Cisco CCIE written exam in either R&S and Security track. The lab exam is 8 hours long and any networking aspirants must pay $1600 to attempt the Cisco CCIE Lab exam in either R&S and Security track. So, you must pay $2050 in total to earn CCIE certification in either R&S or Security track. The training center must be the Cisco authorized learning partner. The lab of the training institute must be filled with numbers of latest Cisco routers and switches along with other Cisco devices with 24*7 accessibility. CCIE certified trainers and skilled lab instructors. The institute should provide 100% practical training. In-house publication providing study materials to students based on current Cisco examination Q/A and solutions. They must provide EBooks facilities too for any time learning and practicing. The institute must have record-breaking placements and CCIE success story. Quality training and hard work can only help you to clear CCIE exam in the first attempt and I would suggest you join Network Bulls to complete your CCIE certification training. They make you all-rounder with their theoretical, practical and personality development sessions. Network Bulls has successfully produced the highest number of CCIE’s in the year 2018. The labs of Network Bulls are loaded with latest Cisco Version 5 devices for Routing and Switching and Security track which helps to produced CCIE V5 certified professionals. Network Bulls provide 7 Key rights to its students, click here to see what are they? The cost to earn CCIE certification is costly enough so, clearing it in the first attempt should be the priority. Train yourself under the certified trainers and do take the advantage of the offerings offered by Network Bulls to clear CCIE in a single shot. CCIE is one of the toughest Cisco certifications offered by Cisco. To achieve this certification one has to clear 2 hours of written and 8 hours long lab examination. Which require better technical as well as practical skills. There are very few options available to prepare for CCIE examination and one of them is offline classroom training form a Cisco learning partner institutes. The institute should have better lab facilities, skilled technical team and many more infrastructure to provide you with quality training so you could clear your CCIE exam in the first attempt. But how to find such institute is a big problem so, here we have come with a solution i.e Network Bulls. The facilities provided by Network Bulls is topmost and it is renowned as the best Cisco CCNA, CCNP, CCIE training institute in India. But why? Here are the 10 suitable reasons for you. Yes, it’s true! Network Bulls has the largest Cisco CCNA, CCNP, CCIE labs all around the world. The labs of Network Bulls are filled with real Cisco devices and equipment. Which lets students have practical exposure to industrial devices and they can be familiar with its behavior. 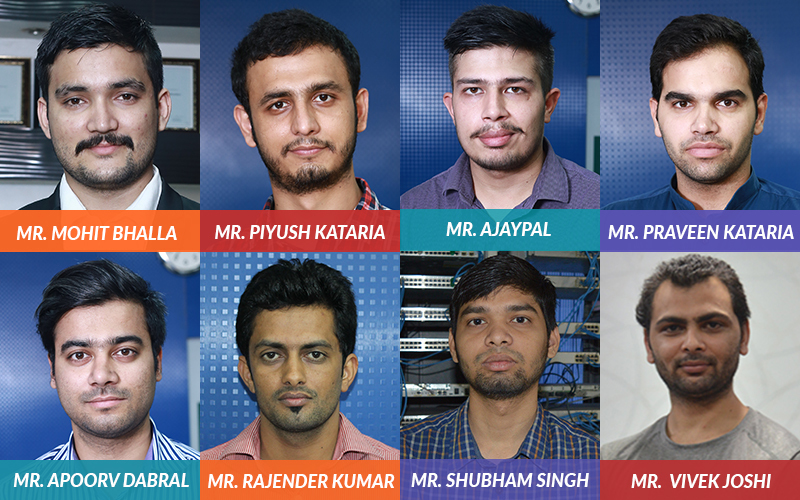 These experiences help them to perform better in their Cisco lab examination. The technical trainers at Network Bulls are CCIE certified and most of them are dual or triple CCIE certified. These trainers provide deep learning of networking protocols to students and let them have crystal clear understanding of the course. They provide the number of doubt classes providing reliable and smart solution so, every student can come up with their query. 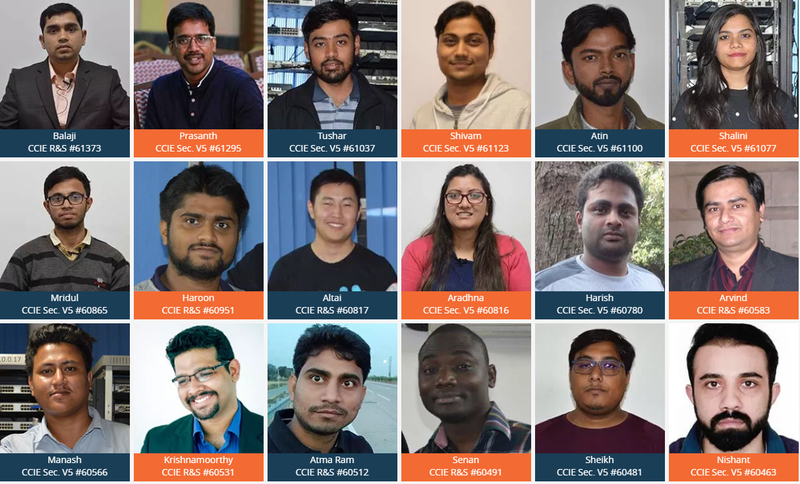 The trainers being CCIE certified, guide students in according to the level how CCIE questions have been asked so CCIE aspirants could clear CCIE certification in their first attempt. The labs of Network Bulls are open all round the clock for students so they could practice at their own comfort. We have lots of courses running under one roof of Network Bulls like CCNA R&S, CCNA Security, CCNP R&S, CCNP Security, CCIE R&S and CCIE Security and lot more. For each course, we have dedicated labs which decreases the waiting time of students. 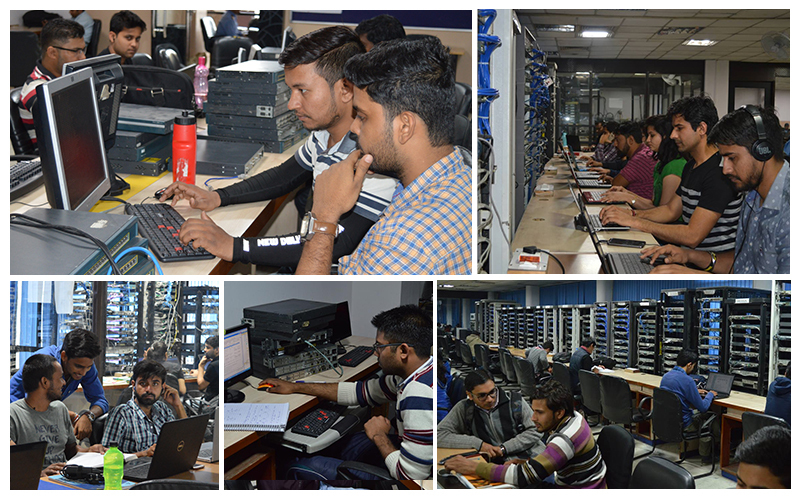 Every student of Network Bulls is provided with dedicated racks so they could calculate every change and its respective result done over the device. In this way, they can have a deep understanding of Cisco routers and others devices working. 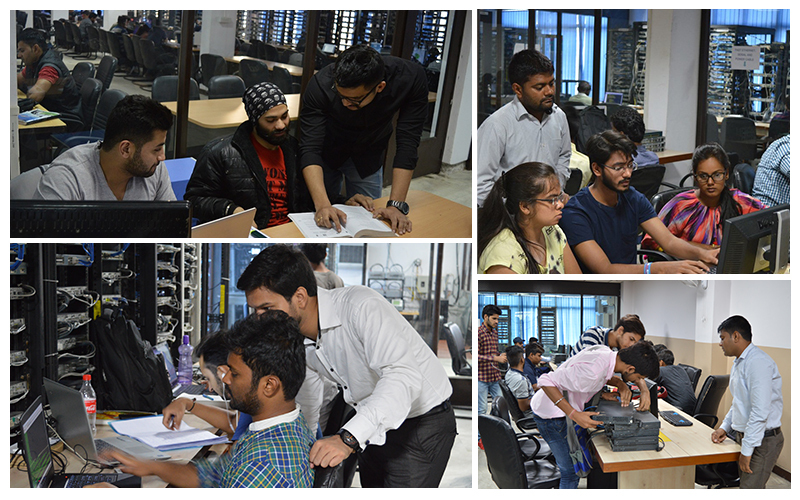 The labs of Network Bulls are loaded with most updated Cisco routers, switches, firewalls, IP phones, nexus and UCS making NB student have hands-on practice upon each device. Network Bulls provide practical workbooks for each of their courses CCNA, CCNP, CCIE having complete questions and answers related to Cisco syllabus. The certified trainers also contribute in the making of these workbooks and it keeps on revising as per new technological advancement. Whether you are pursuing CCNA, CCNP, CCIE from Network Bulls, you will be provided with proper guidance of lab trainers in your lab. They will help you to perform your practical training along with clearing your every doubt and queries. Having these facilities can maximize your efforts and you can achieve your certification in the first attempt. That’s the reason why Network Bulls are termed as the best Cisco training institute in India. To know more about our facilities and courses please visit our official site or ring us on our toll-free no. 1800-3070-7628. Cisco Certified Internet Expert Certification is the Certification that can never get faded away in the future as there is a great demand for the Cisco Security Experts all over the World. The technologies are being newer day by day so, to tackle the network for the newer technologies experts are required. This requirement shows that the career opportunities after doing CCIE Security Version 5 is incredible. This is the Certification that allows you to be the expert that is recognized across the World. Under this you will learn how to design network, implementation and Network Security. CCIE Security version 5 is the new course offered by Network Bulls that gives you an amazing combination of Cisco Routing & Switching and Cisco Network Security technologies. Career opportunities are numerous after CCIE Security. There are only 6000 Network Security Engineers and still there is a demand of around 200,000 Network Security Engineers. This is the biggest opportunity for the Networking candidates to make room for themselves under the spotlight where IT industries focus. There are numerous job opportunities after CCIE Security version 5 Certification. 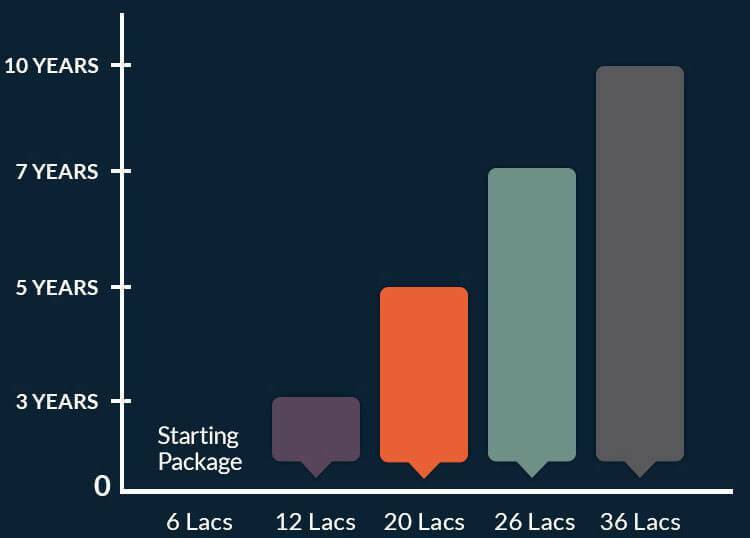 The salary package for the CCIE Security V5 experts comes under highest paying packages. To start the career there is great opportunity to take around 4-6 lacs per annum. There is no any specific close end for the growth in the salary after this Certification. Let’s get on to the growth chart that clearly shows that what would be the salary package with the particular experience in the same domain. To make your dream come true you need to work hard as you have dreamed to get the best. To get the success it is very important to choose the best training institute. Network Bulls Gurugram is the best CISCO CCIE training institute in Delhi NCR. 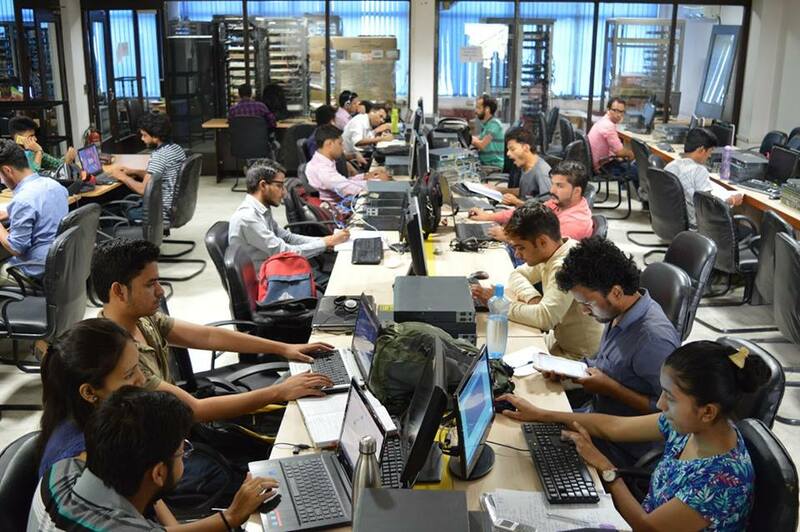 This is the institute that has many facilities that are beneficial for the students to get the various opportunities for the career be it Clearing the Cisco Certification, be it getting a dream job after the training, be it getting the personality enhanced all you will get under the same roof in Network Bulls. There are many candidates that are placed in a well known IT companies after getting the training Cisco training from Network Bulls. Check NB Placement Records Here. CCIE Security Version 5 has a bright future ahead. It could be the path that will take your career to the highest position that everyone dreams for. The salary package, designation, future prospects of Cisco Certified Internetwork Expert in Security for version 5 meant to be the best in Networking industry. Planning to build your career in the networking industry? Develop your basic foundation of networking with CCNA R&S certification training. If you are planning to enter the field of networking then Cisco CCNA course is the best option for you. This is the initial level networking certification which will introduce you to the basic concepts of networking and will help you to build the basic foundation of networking. If you are interested to know in detail about this certification, then keep scrolling down to the bottom as in this article we have covered the detailed information about Cisco CCNA Certification. What you will learn in Cisco CCNA Certification? As stated above this is the initial or associate level certification which will introduce you to the basic concepts of networking. The concepts covered in this certification training includes VPN, Subnetting, IPV4 & IPV6 Routing, Configuring and troubleshooting networking hardware, Layer 2 switching, OSI, TCP model and a lot more. CCNA Course training at Network Bulls includes the official course curriculum prescribed by Cisco so you can rest assured that you have the knowledge of all the topics. Post completion of your CCNA training, you will have the hands-on skills of installing, configuring as well as troubleshooting Routers and Switches of any medium sized network. Cisco CCNA is a theory examination conducted at Cisco authorized centers. It is a 90 minutes examination in which you will have to answer around 50 to 60 questions. The examination will test your theoretical as well as practical understanding of the concepts. And as stated above that it is the highest paid course, similarly even the freshers are offered handsome packages. So, post completion of your training, you can easily get placed and start your career in the IT industry. If you want to reap the job opportunities available after Cisco CCNA certification course, then you must enroll at the best networking training institute in order to develop a crystal clear understanding of the concepts. Today, IT industry demands for skilled networking professionals and Network Bulls aims at making students expert in their domain of networking. Network Bulls not only provides training on the guidelines of Cisco but their theory sessions are also backed by the practical sessions. This help students to know the real-time utility of technology which is one of the major demands of recruiters. So, enroll at Network Bulls and make your career fly. Today, IT industry is at its boom and multiple job opportunities are available in the field of computer networking. It is a technologically driven era and there is quite a vast scope of networking. So, if you are planning to build your career in the field of networking, then Cisco CCNA certification is your stepping stone. CCNA is initial or associate level certification offered by Cisco System. Cisco certifications are the most demanded and the prestigious networking certification in the world. Why CCNA training is essential for networking aspirants? If you are willing to enter the field of networking then Cisco CCNA certification training is the first step you need to take. The training will impart the basic knowledge of networking and will build your foundation for working as a networking professional. CCNA course training is available in multiple tracks which include Routing and Switching, Security, Data Center and a lot more. However, it is advisable to pursue CCNA R&S at first. What you will learn in Cisco CCNA training? This training will impart an in-depth knowledge of basics of networking and its practical implementation in day to day life. During the training, you will learn to set-up home networks or the network of any medium-sized organization. Post completion of your CCNA training you will have hands-on skill of installing, configuring and troubleshooting network. Are there job opportunities after CCNA training? If you are dreaming to build a bright career in the field of networking then search for the best Cisco CCNA training institute in India. If you want to save your search time, then go for Network Bulls as it the best CCNA, CCNP & CCIE training institute with world’s biggest Cisco training labs and largest pool of CCIE certified trainers. Network Bulls aims at providing the best Cisco training in order to make students an expert in their networking domain. The best part is that their theoretical sessions are backed with the practical sessions which help students understand the practical implementation of the technology. Remember, the industry today demands the candidates with hands-on practical skills so enroll at the institute which can help you to learn the real-time utility of the technology. Why Cisco CCIE Data Center is the biggest opportunity as a career? Selecting the professional certification with innumerable opportunities is immensely important for high professional growth in a short span. If you are also searching the best professional certification course then CCIE Data Center course is one of the best options for you. What is CCIE Data Center? CCIE Data Center certification is offered by Cisco for imparting the detailed knowledge of DC to the students. During the Cisco DC training, you will learn the skills of handling the complex DC infrastructure which includes designing, planning, implementing as well as managing the DC network. Remember, to pursue your DC training from the best Cisco CCIE Data Center training institute such as as the industry is full of opportunities only for the skilled professionals. What is the scope of CCIE Data Center certification? As mentioned above, Cisco Data Center certification is greatly demanded in the IT industry. In fact, it is one of the highly prestigious IT certifications in the industry. This certification is recommended for the experienced IT professionals or for the candidates with knowledge of Cisco R&S, Security etc. You can experience a steep growth after pursuing this certification. A CCNA and CCNP level IT engineer with around 3 years of experience can expect a hike amid 70% to 100% after the course. Why to pursue CCIE Data Center at Network Bulls? If you want to reap the available opportunities, then you need to have an in-depth knowledge along with the practical skills to handle the DC network. Network Bulls has specially designed the DC training course keeping in mind the requirements of the IT industry. The CCIE Data Center training course at Network Bulls not only imparts in-depth knowledge but also provide practical exposure to students for making them an expert. 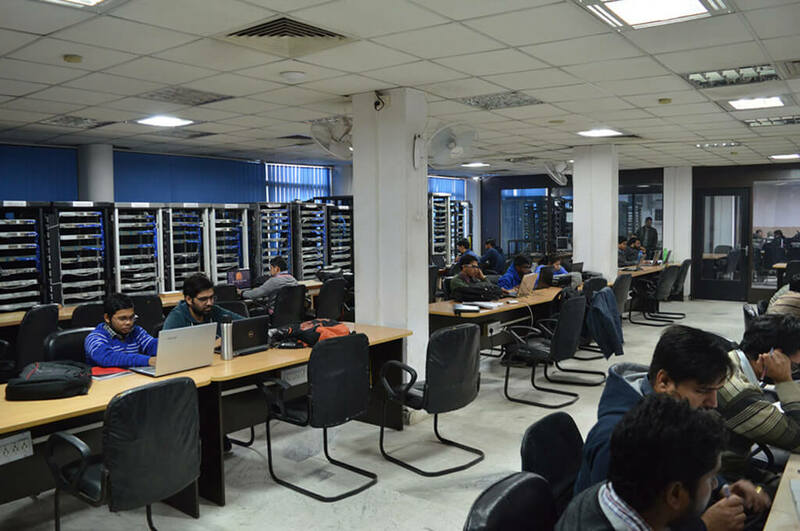 World’s biggest Cisco Training Labs – to provide crystal clear understanding of the practical functioning of the networks, labs at Network Bulls are equipped with latest DC devices. In fact, labs at Network Bulls are the World’s biggest CCIE lab. Pool of CCIE Certified trainers –for developing a detailed understanding of the subject highly skilled trainers is of immense importance. Network Bulls has a pool of CCIE certified trainers who are always available to solve the queries of the students as well as ready to help students anytime. 8 Years of Training excellence – past results of a CCIE institute is quite vital as it reveals efficiency and Network Bulls has proved its training excellence over the last 8 years. Network Bulls celebrates record of producing 90% CCIE’s success rate which is a big achievement in the networking training industry. So, if you are searching for the best Cisco CCIE training institute in India, then Network Bulls is the best option for you.